Ready or not – CES 2014 is just around the bend. The convention always seem to have a central focus as we’ve seen products like high-end televisions and tablets take center stage during recent years. 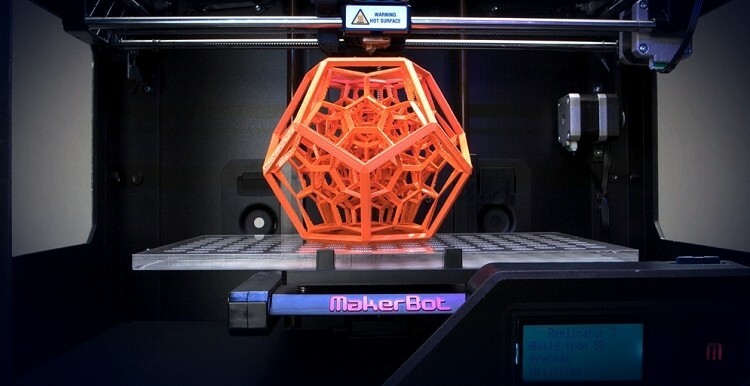 Next January’s show, however, will likely be dominated by a relative newcomer in consumer electronics – 3D printers. Gary Shapiro, CEO of the Consumer Electronics Association, was in the UK with other CEA members to announce a new consumer 3D printing exhibit area at next year’s show. The executive noted the tech zone, which will complement other zones that focus on niche markets like robotics and motion technology, has already sold out. Shapiro expects to see 20,000 new products launched at the trade show from more than 3,200 different exhibitors. He also anticipates some 150,000 industry associates and members of the media from more than 150 countries will come together in Las Vegas to attend the show. Shapiro mentioned there will be two hackathons held during the show and for the first time ever, there will be two keynotes – one from Audi Chairman Rupert Stadler and another from Intel CEO Brian Krzanich. Other themes expected to be featured heavily during the show include tablets (again), sensors embedded in products and mass customization. The event kicks off on January 7, 2014 and runs through January 10 although pre-show festivities and events for members of the press begin a couple of days earlier on January 5.